Jeff "Beachbum" Berry is, without a question, one of the most important figures in the current tiki revival. I am far from the first to sing his praises. 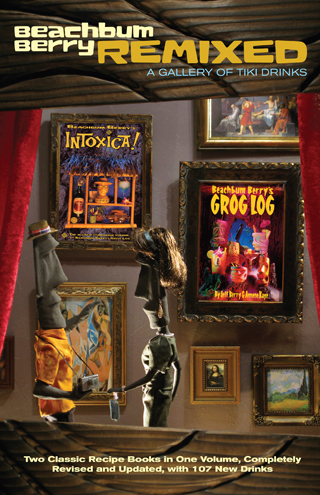 While a self-professed bum, he has spent countless hours scouring old cocktail books and interviewing the remaining tiki bartenders to pry the secrets of lost tiki drinks from them. Given the secrecy surrounding a lot of tiki drinks, that was no easy task. The founders of tiki, namely Don the Beachcomber and Trader Vic, used all sorts of tricks to prevent their bartenders walking off with the most important drink recipes when they were hired away by rivals. Some of the trickiest ingredients, like "Don's Spices" and "Don's Mix" were such closely held secrets that it took decades of investigative work and no small amount of luck to figure out what they were. Beachbum Berry Remixed contains most of the recipes from two of his earlier works, Grog Log and Intoxica!, which have been updated and reworked as necessary. In addition, there are a number of new recipes, both from Berry himself and from the growing legion of tiki-phile bartenders across the globe. All said and done, there are several hundred recipes, most tested and honed over the last decade. To make things even more interesting, the recipes are interspersed with bits of tiki history, from the long running debate over the creation of the Mai-Tai to the complex trail of leads that the 'Bum followed to determine the true recipe for the Zombie. This is definitely the best book to get if you want an introduction to tiki. You'll get some good background and enough recipes that it's pretty much guaranteed there'll be something in there for everyone. To reduce the confusion of all the obscure ingredients, there's a list in the back that explains what everything is. Even for the more established cocktailian, this is a must-have book. 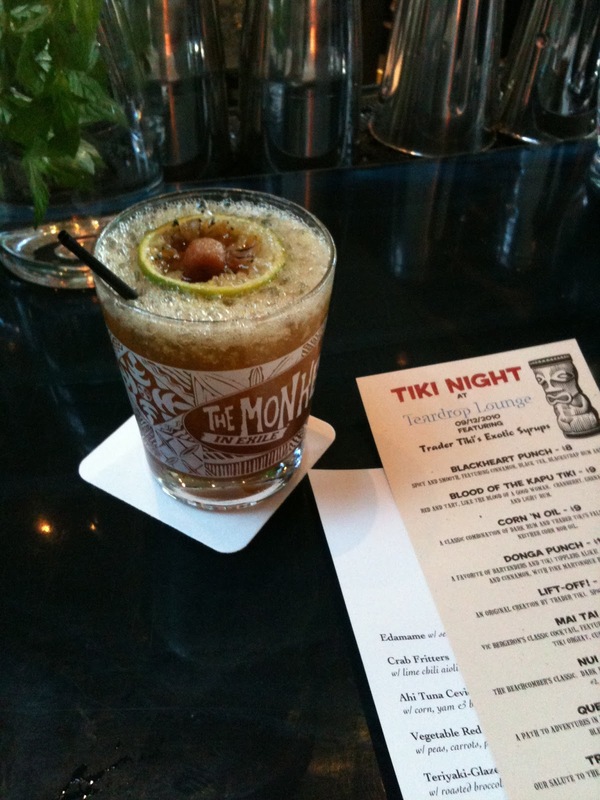 Think tiki drinks are all sugar and no balance? Peek through the Bum's work and be amazed. People like Donn Beach and Trader Vic were absolute geniuses behind the bar, carefully utilizing obscure components to create nuanced and balanced drinks. Not a huge fan of rum? There are drinks in here with just about every base spirit imaginable. My one quibble with this book is that it should have been shipped spiral bound, especially considering that several of his earlier books came that way. Trying to make a drink and keep the book open at the same time is a bit of a pain. Thankfully you can just drop by your local FedEx/Kinko's and get it rebound, but that does cost a few extra dollars. So, go forth and get Beachbum Berry Remixed! If you can't find it locally, check out Trader Tiki, where it's $5 off with free shipping. Word of a proposed bill in the House of Representatives, HR 5034, has been bouncing around the cocktail blogosphere for a while now. The gist of the bill is that states should be allow to restrict the private shipment of beer, wine and spirits from outside their borders. In an effort to cloak this concept in an air of respectability, the bill has been named the Comprehensive Alcohol Regulatory Effectiveness (CARE) Act of 2010. It is absolutely nothing of the sort. A simple browsing of the funding sources behind the bill reveals that it is all about protecting the power and money of wholesalers, who are worried about the growth in internet sales of alcohol over the last decade. 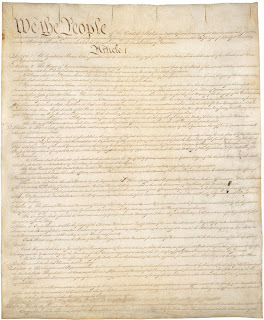 They claim that the law should be changed for a variety of silly reasons, ranging from reinforcing the regulatory powers of states to inconsistent oversight by federal courts (the law would prevent challenges to restrictions by the states) to preventing minors from buying alcohol. Those notions are a transparent farce. As well all know too well, states already exert an enormous amount of control over alcohol, often going so far as to retain state monopolies on alcohol sales. 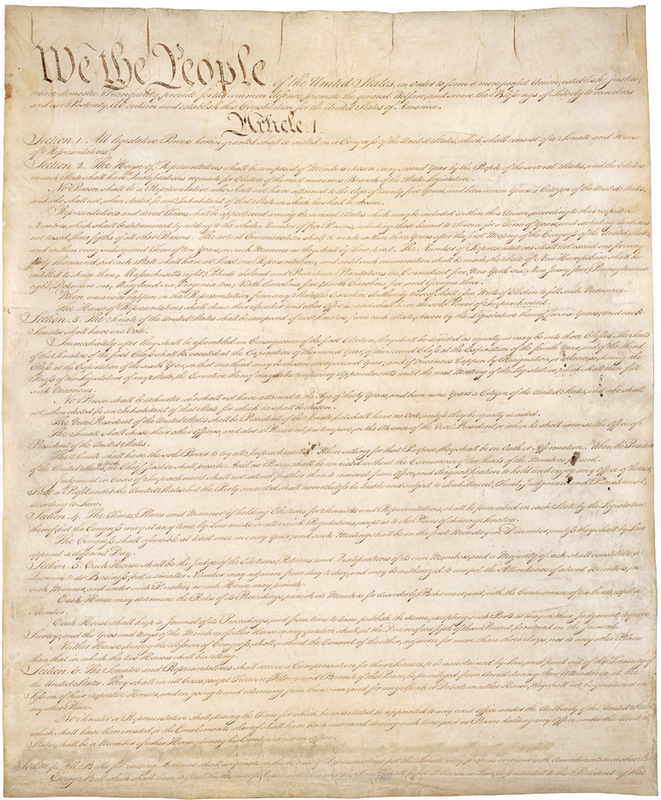 States are already allowed to prevent the shipment of wine, beer or liquor to private individuals within their state, as long as the same is true for in-state producers. Scare-mongering about minors buying alcohol over the internet is entirely overblown as the law already requires that the shipper check ID before handing over the package. The bill is entirely about protecting the middleman position of wholesalers at the expense of individual consumers, restricting the availability of products that otherwise can't be obtained within the state. Passage of the law would allow states to act in a protectionist manner, privileging in-state producers at the expense of everyone else. For all their talk of free market principles, the politicians supporting this bill are blatantly selling out. No party comes out looking good from this as the sponsors are pretty evenly split between Democrats and Republicans. Please look at the post on Doug's Pegu Club blog and see if any of your state representatives are currently listed as sponsors of the bill. I'm glad to say that no Oregon or Washington Reps. have signed on, but there are plenty of states where almost every Rep. is a sponsor. If one of your Reps. is listed as a sponsor, please contact them to protest a bill that does nothing for consumers and seeks only to protect vested interests. As I mentioned not too long ago, a love of rhum agricole has been kindled in me fairly recently. While it was a shunned category for some time, I'm now diving in head first. While the flavors that tend to be found in rhums aren't quite what most people expect from rum, they can be quite incredible in their own right. For those who are new to rhum, I'll lay out a quick primer. The main feature of agricole rhums that makes them distinct from other rums is that they're made from fresh cane juice. While there are other rhums made from fresh sugar cane juice, notably Haiti's Rhum Barbancourt and a handful of others, rhums made on the island of Martinique lay claim to the name "rhum agricole", as any rhum claiming that name theoretically has to follow the rules laid down by the Appellation d'Origine Contrôlée (AOC). With that said, rhum agricole can also be used to describe cane juice rums in general, so that really only matters when it comes to packaging. In addition to being made from fresh cane juice, AOC rhum agricole also has to be distilled to ~70% alcohol, which is then cut down to 40-50% alcohol after aging. Being made from fresh cane, agricole rhums tend to have very strong vegetal flavors, often described as grassy, which can be disconcerting to drinkers who don't expect them. However, in certain circumstances, they can also be very tasty. This is, in my opinion, one of the truly perfect drinks. One of Don the Beachcomber's early creations, though less well-known than others like the Zombie, it does exactly what Donn was so good at: blending ingredients around rums to highlight those rums' best qualities. The lime juice provides a pleasant amount of tartness, while the grapefruit juice slightly smoothes that out. 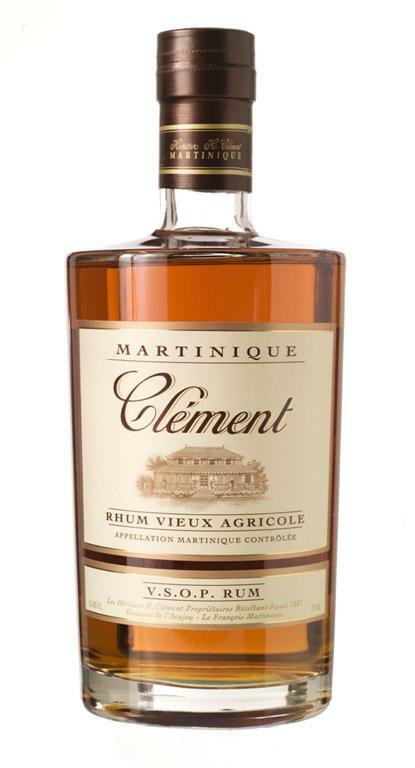 The cinnamon syrup syncs up perfectly with the Clément, providing a coherent, delicious whole. While incredibly simple to make, it's an unmatched experience that I doubt I will ever tire of. This is a really great drink. There's a lot going on, as there are multiple layers of spice and several kinds of citrus, but they all come together really well. The Barbancourt rides along the top, providing some great smells and a clean base for the other ingredients. The ED5 plays really well with the fruit and spices. Definitely one of the classics. One of the best things about rum is the breadth of products made from very simple ingredients. These are two of the best examples of what fresh cane juice rhum can be without breaking the bank. The Clément is an incredibly good choice, but it's also definitely a bit spendier than the Barbancourt. Either way, you really can't go wrong with either introduction to rhum agricole. It's a category that can take some getting used to, but can also be very rewarding. As a follow-up to my piece about good places to drink in NYC, I thought I'd bring things a bit closer to home. Portland, while far from the biggest city on earth, has a lot going for it in terms of being able to get a good drink. The OLCC may be a pain in the rear, but we more than make up for it with lot of local producers of beer, wine and spirits, coupled with a burgeoning mixological movement. Since they're usually the drinks I'm willing to go out of my way to get, this is however going to be a bit tiki-heavy. But to wrap things up, Thatch is definitely a place to visit, even if you've never had a tiki drink or have been unfortunate enough to only be exposed to low quality versions so far. 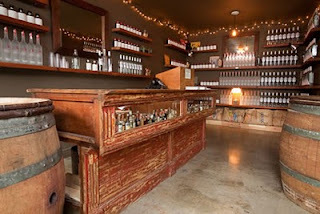 They have an excellent selection of rum and other spirits and seem to take a lot of pride in making solid drinks. While the Teardrop has a reputation for making solid cocktails all the time, it was the siren song of tiki drinks that drew me in. 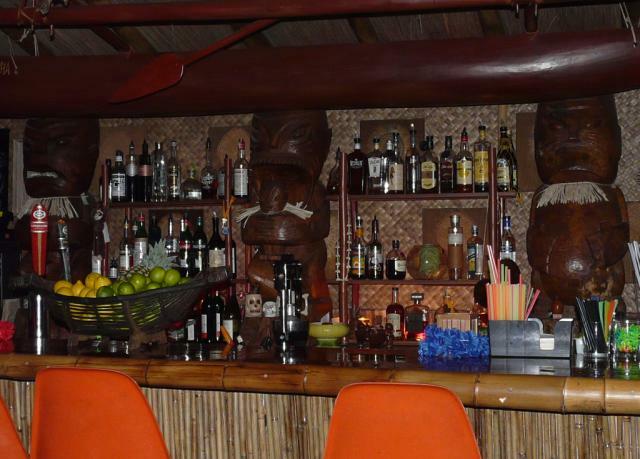 Due to a relationship with Trader Tiki, the Teardrop has tiki nights from time to time. My first drink, as pictured to the right, was the Lift-Off! In case it wasn't clear, about thirty seconds before I took that picture the spent lime shell was full of flaming 151-proof rum, which made for a pretty excellent show. The drink itself was a little bit less exciting, with the rum fading into the background more than I would have liked. Still tasty, but it didn't knock my socks off. Thankfully the night was more than saved when I took a bit of a risk and ordered a Donga Punch. I say that it was a risk, not because I didn't trust the bartender, but because I'd had less than wonderful experiences with rhum agricole before. I had previously bought a bottle of St. James Royale Ambre for making mai-tais. However, it proved to be a less than stellar choice as it has an incredibly strong, incredibly funky and generally off-putting flavor. Further experimentation showed that it could be useful, but only in small doses and balanced by other rums. However, the Donga Punch is a one-rum drink, so I wasn't sure exactly what I was in for. But as I've already noted, it turned out beautifully. The sourness of the lime and grapefruit was perfectly balanced with subtle funkiness from the rhum and the spice of the cinnamon syrup. I was absolutely entranced and took a quick peek behind the bar before I left to find out what kind of rhum had gone into making the Punch. While it took a bit of tracking down, the ever-useful Pearl Speciality Spirits came to my rescue so I could pick up a bottle of Rhum J.M. Gold. Ever since I've been happy whipping up Donga Punches, which are now hands down my favorite drink. While there are many other Portland drinking institutions that I need to sample and write about, these two are a solid start for anyone looking for a tasty libation in town. Up next in the series, I'd like to return to the topic that featured prominently in my very first post, House Spirits. My introduction to their products goes even further back. Back around 2005 I discovered that gin was in fact rather tasty. While poking around the local liquor store, intent on getting a bottle of Bombay Sapphire, I noticed another bottle of gin on the shelf that said it was made in Portland. Since I tend to like buying local products and it didn't cost a whole lot more, I took a risk and got a bottle. That turned out to be a very good choice as Aviation suited my tastes even better than the Sapphire. To explain some of the differences, I'll have to go a bit into the history of gin. These days, people tend to associate gin almost exclusively with the London Dry style (Tanqueray, Beefeater, etc. ), but that's only a fraction of what was and lately has lately become available. The diagram above shows the relationships between different styles of gin and their general characteristics. Bombay is firmly in the London Dry style, which means that it has a very sharp and juniper-heavy flavor profile, due to the fact that the botanicals are extracted by placing them in baskets within the still so that the hot alcohol vapor passes through them and carries some of the flavor along. In contrast, a gin like Aviation, which is modeled after Dutch genever, is produced by soaking the botanicals in neutral grain spirits and then distilling the resulting 'tea'. This results in a much rounder flavor profile. Aviation is also less dominated by juniper and has a lot of citrus flavor. Overall it still has some of that distinct gin bite, but it's less astringent than a juniper-forward gin. Which is all to say that it's rather tasty to me. Bring us back to the topic at hand, while my tastes have shifted away from gin since then, I've still been watching House Spirits closely as their product line has grown a lot since I first discovered them. Though they started off doing exclusively unaged, white spirits (vodka, gin and aquavit), they are now producing a much wider variety of spirts, ranging from whiskey (both aged and unaged) to shochu (distilled sake) to rum (unfortunately not very tasty, from my perspective) and more. In addition, their on site store has expanded dramatically in the last few months to include all sorts of cocktail equipment, ingredients and books. House Spirits is a wonderful local icon and I look forward to seeing and sampling the new spirits that they're going to be putting out over the coming years.